When not discussing the latest Hockney exhibition or chatting about Spielberg’s most recent offering, Claudia loves nothing more than a twirl with Len Goodman. This had the potential to be quite awkward, so thankfully for all concerned the BBC devised Strictly Come Dancing. For the last three years Claudia co-hosted the results show with Tess Daly. Prior to this, Claudia indulged her love of fake tan hosting Strictly Come Dancing: It Takes Two on BBC2, getting all the behind the scenes gossip. In March 2015, she was awarded the RTS Award for Best Presenter. In May 2015, Claudia appeared on BBC 1′s Watchdog to give an exclusive interview to Chris Hollins about her daughter Matilda’s accident in 2014 and to highlight fire safety issues surrounding children’s fancy dress costumes. In Autumn 2014, Claudia became the permanent host of the show, replacing Sir Bruce Forsyth, and teaming up with Tess for the main show. 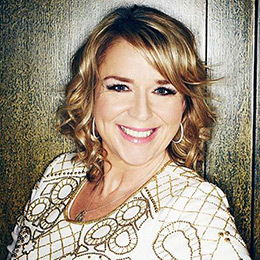 In March 2015, she hosted the The People’s Strictly, which will see the Strictly dancefloor open to members of the public for the first time ever. Claudia is a huge supporter of Comic Relief and for the last few years has been one of the main presenters for both Red Nose Day and Sport Relief. Rather handily, in 2009, Comic Relief decided they needed more sequins and dancing in their campaign so called on Claudia’s knowledge of a ‘fleckle’ to host the first two series of Let’s Dance for Sport Relief/Comic Relief. Claudia’s corporate portfolio ranges from presenting corporate DVDs for John Lewis, Clarks and BAA, to acting as MC for the Samsung 3D TV Launch and fronting campaigns for Cadbury’s and Air New Zealand, to hosting numerous awards ceremonies, including the British Fashion Awards 2010, the InStyle Awards, the HSBC Awards, the Campaign Digital Awards, the GQ Food & Drink Awards and the Glamour: Women of the Year Awards, among many others.